For dull, damaged, dry, tangled stained, hair and flakey skin. A perfect treatment that Hydrates , Repairs, Detangles, Restores and Soothes the skin. Leaves the hair Soft & Silky, Repaired and Hydrated. It is a concentrated formula that is very gentle and effective. Also great for full body application before shampooing and after riding. It leaves a super shine! 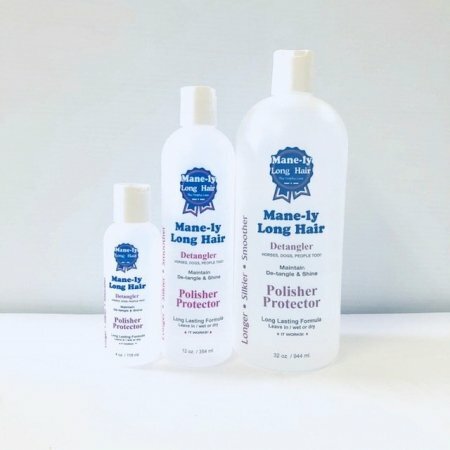 A light weight formula for all hair types ; no dyes , no residue and it will not weigh the hair down. GREAT quality optimises the health of the skin, coat and hair, making it softer, silkier, less porous, less brittle and less prone to breaking and staining! Earn up to 26 Points Points. An exceptional concentrated formula, no residue, non weighty, not waxy, no build up... a rinse out treatment after Restore shampoo. 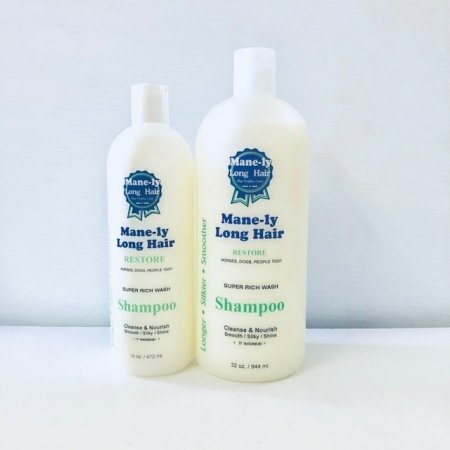 It is also used to formulate Shock Treatment ( conditioner and Polisher ), and Hydrate 24 dry groom (need both our bottles to mix H-24; mix bottle and hydrasol, directions and measurements are on both bottles). 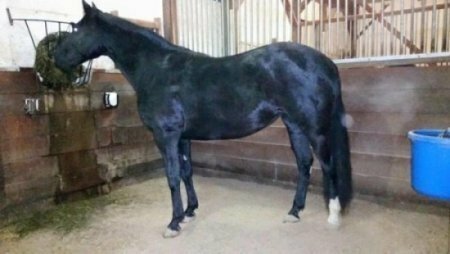 Use on full body for our dry groom method, and a leave in for mane, tail, forelock, and feather. When used as the Hydrate 24 and Hydrate 24 system it helps to lift and prevent stains; urine, yellow and dirt stains. 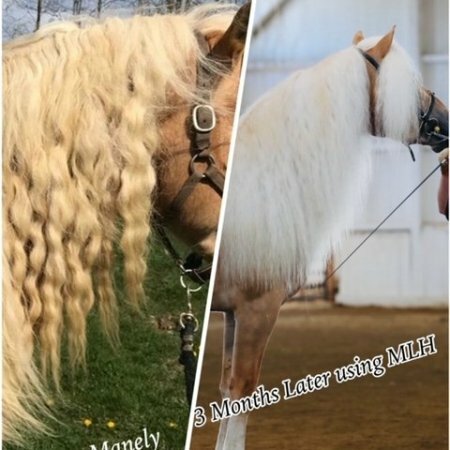 A perfect treatment to maintain healthy hair, for a longer, silkier, smoother, mane & tail, forelock and feathers and full body. -An outstanding concentrated formula consisting of natural extracts; Aloe Vera Gel, Nettle, Sage, Chamomile to name a few. -Use on wet clean hair AFTER Rinsing out the RESTORE SHAMPOO, it finishes the cleanse process in addition to hydrating and repairing. Rinse out. 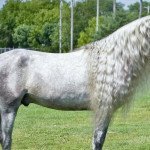 -Use before washing on more sensitive horse, or on stains…then restore shampoo, then conditioner again. Maintain with Hydrate 24 daily. 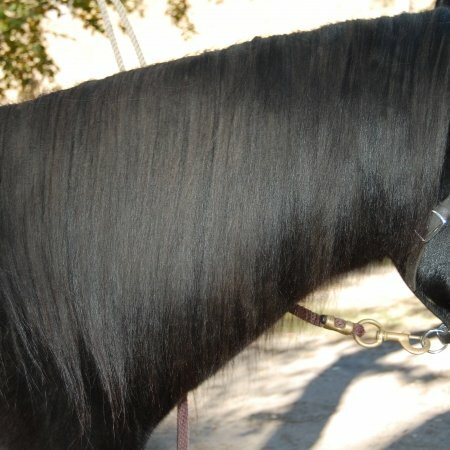 -Apply POLISHER after to seal in and detangle and protect, manes, tails, forelocks and feather. H-24 formula is an amazing leave in hydrating treatment and coat conditioner. 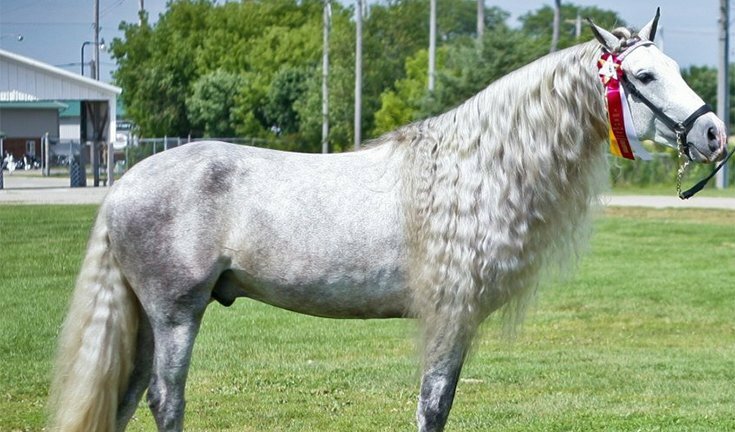 Hydrates the skin and hair, which includes the manes, tails, feathers, forelock, and full body. 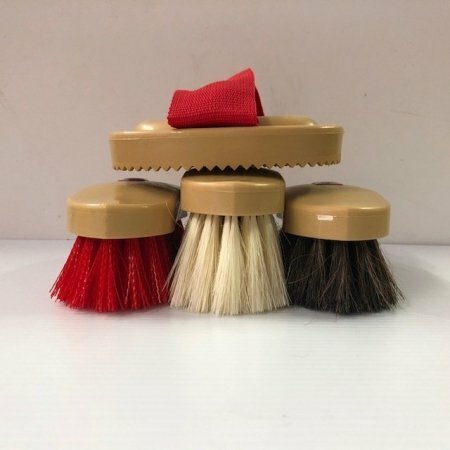 With our dry groom H-24 waterless cleanse and brush system it will clean, add shine, protect, condition, and soothe, while preventing dry pourous hair and skin. The added benefits it will help to dissolve and remove embeded stains as maintenance through our unique hydrate system. 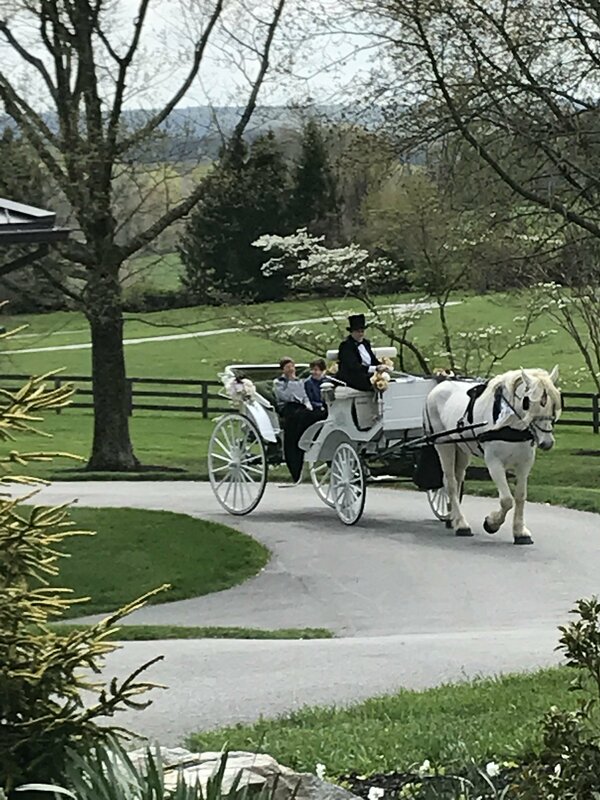 Groom and maintian with the H-24 system and you will experience less dirt, less staining , cleaner horses and a quick way to replace washing your horse often. 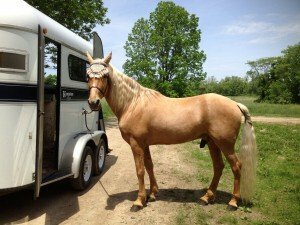 As a coat hydrator it helps to promote healthier skin by preventing skin problems: rain rot, flaky, dry itchy skin, mane, tail and scratches in the feather breeds. Follow the H-24 system and when buffed it provides extra protection while preventing stains and dirt from embedding!! You will see Hydrate 24 dissolve dirt and yellow (more noticeable in lighter hair) through hydration when used as daily grooming and maintenance. 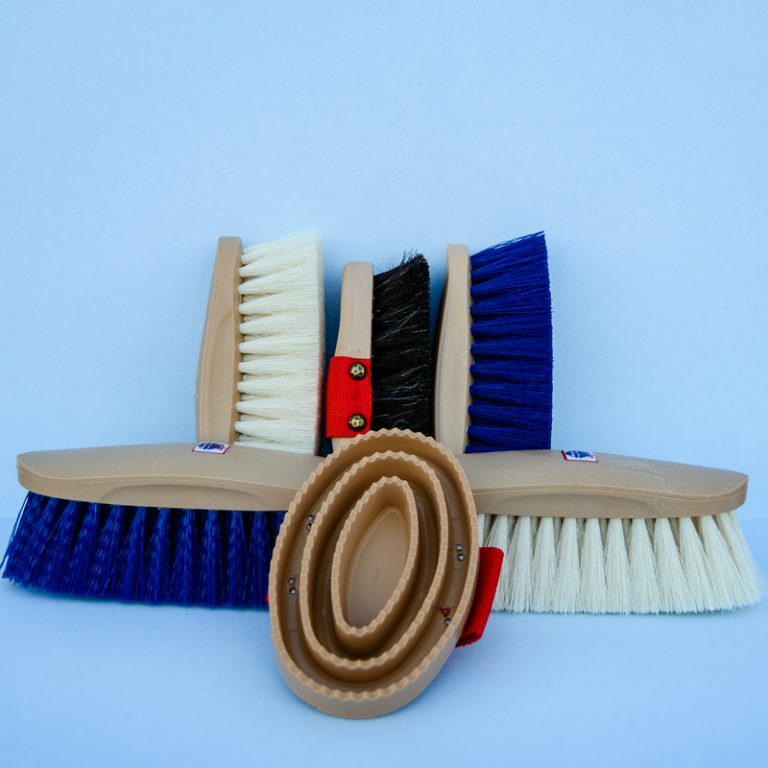 When using as a dry groom it will help keep your horse cleaner plus aassist in lifting dirt and stains out too! (PLEASE see Hydrate 24 and Shock! ) . White gets white without blue, bleach, silver, vinegar and all the other nasties that destroy and restain the hair! 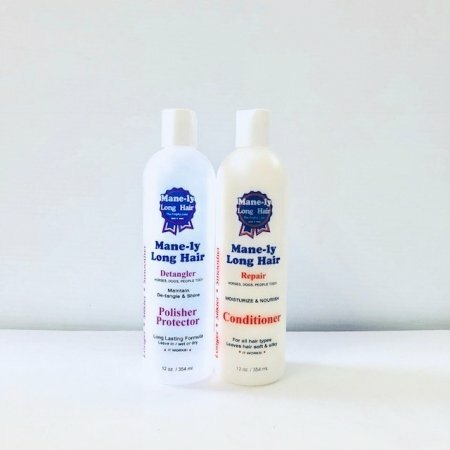 ****Purchase the Hydrate 24 Bottle pack to take the conditioner and formulate H-24 The Mix directions and proportions are on the bottles. Not all bottles will accommodate the mix through the quiet sprayer, our bottle and sprayer has been tested and ours works! It is also labeled properly for safety reasons, proper mix levels and instructions….anything else is NOT HYDRATE 24! It saves you $$$$$, by mixing your own! a great value! ** SHOCK treatment too! (see Shock), Brings back the needed moisture and elasticity ,reapirs damaged hair, and will pull out yellow and urine safely only through our unique hydrate system!